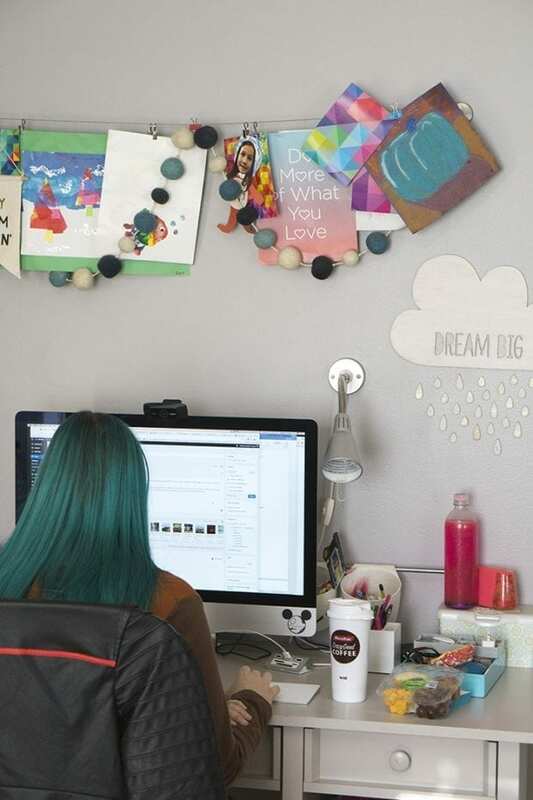 I'm lucky to have a routine that gets a shake-up each week. My husband and I take turns getting up with the kids. So the days that my husband gets up with the kids, I get to sleep in a little longer. I'm not going to lie, it's a pretty sweet deal. Working and going to school from home has its perks. Getting up so early wouldn't be so bad if it weren't for the fact that our house is one of the first stops for the school buses in the morning. Sometimes I have them miss the bus so that the mornings are less hectic and chaotic. During the fall, this wouldn't have been possible for me because I was going to school on campus and had to leave pretty early myself. But this semester I'm taking classes online so I can relax at home. I will tell you one thing, I can't function without coffee in the mornings. I feel like I'm in a fog, bumping into things and forgetting to sign things for the kids. I am a walking “but first, coffee” meme. It's my jump start button. Aside from the fact that the caffeine wakes me up, I just like the taste of coffee. I drink it as a snack sometimes in the afternoons and evenings. Once I have my Crazy Good Coffee, I'm like a machine starting up. I'm far more productive with work and school in the mornings. I can crank out more content and tasks before lunch. After lunch, I'm easily sidetracked and end up slacking off on social media. The kids also come home in the afternoon, I should just blame it on them. Those mornings that we are in a huge rush I stop I stop into RaceTrac for a quick Crazy Good Coffee and breakfast. I love that they have a coffee bar of choices also. I still reach for the dark roasts in the morning. The other day, I picked up a RaceTrac reusable coffee mug because it was only $3.99 and it had a coupon for 5 free refills inside. 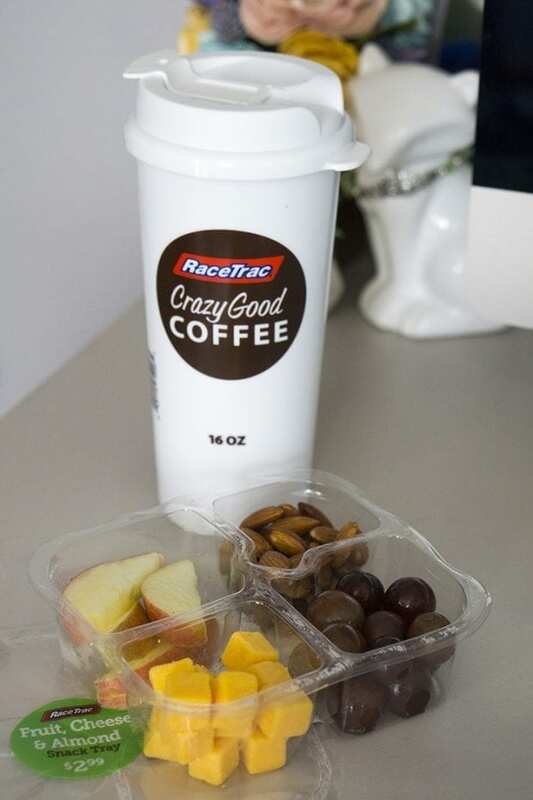 I generally don't have whatever for breakfast because coffee is enough for me, but I like the snack trays that RaceTrac has because they are light and I can nibble on them at my desk. The fruit, cheese, and almond one is my favorite. 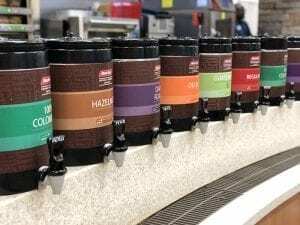 RaceTrac prepares a large selection of products and puts them out in the mornings. So you can get a classic breakfast sandwich or you can change it up and get pizza, a chicken sandwich, or a roller grill item. It's Whatever gets you going in the morning. My husbands favorite is breakfast pizza. He likes it cold though. He's weird. I commend the super early risers that get up to exercise before their kid's alarms go off in the morning. I don't go to bed early enough for all that! 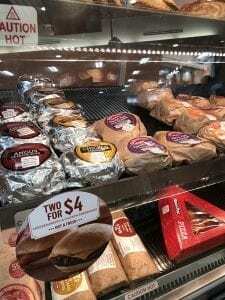 Want to win some free food from RaceTrac? Enter to win by commenting on the Facebook post below. Winner will receive a coupon good for free food items from RaceTrac (ten winners a day)! Ends March 25th. I spy a death star Mickey!! I that that vinyl. Make me happy each morning when I see it!